Hello. I saw your listing on Moveandstay for Servcorp - Sahab Tower, Kuwait City: from 25 April 2019 to 26 April 2019 I like to learn more. 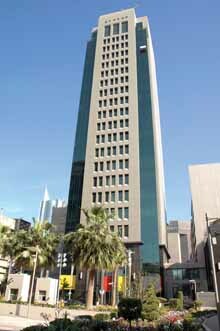 Sahab Tower is located in Kuwait’s main business and commercial district in the famous Salhia Precinct, conveniently located in the city’s central business district.